In the world of big data, analysts tend to dismiss data visualization as having no real value. And while it’s true that data visualization doesn’t provide analysis on the scale of back-end heavy platforms, that doesn’t mean that visualization doesn’t have a place in business. Rather, data visualization is leading the way when it comes to introducing business narrative into your larger corporate strategy. One of the greatest challenges that big data poses to contemporary businesses is one of skills: the majority of professionals and their clients don’t have the skillset necessary to understand complicated data sets. They didn’t major in statistics or data analysis and they don’t know what these long strings of numbers and statistical relationships mean. Presented with a log scale graph, some may understand the concept, but many more will misinterpret the data. What most people do understand, regardless of their background, is how to interpret basic pie charts and graphs, and this is where visualization comes in. When we represent data in this way, we start to offer new insights to our customers and help them ask questions, understand strategy, and participate in decision making with a greater degree of knowledge. 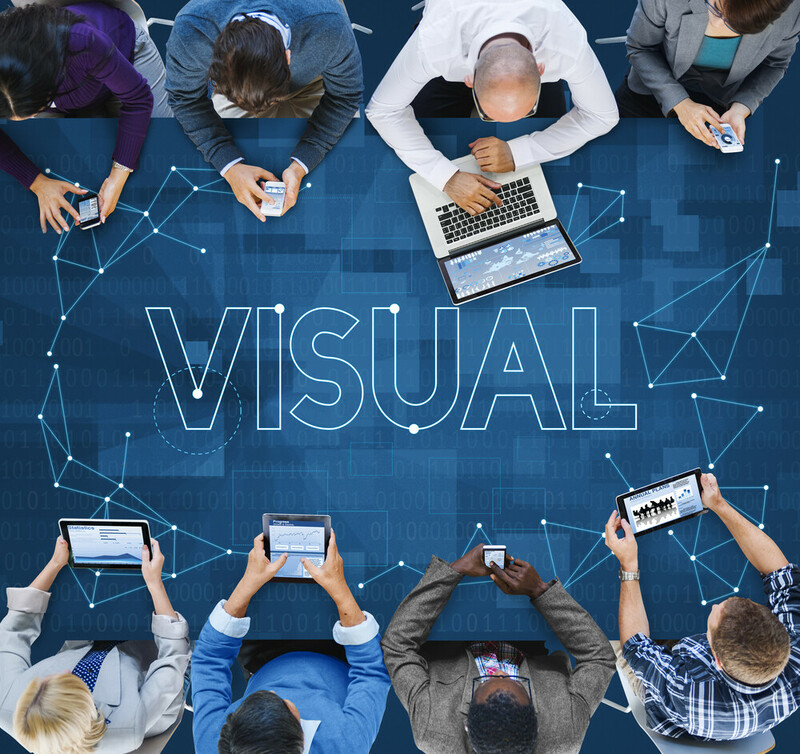 Another reason that visualization is such an important part of your business strategy is that in today’s marketplace, looks matter. This is why you can’t launch a customer interface that looks like it was made in 1998 – it’s not that it’s difficult to use, necessarily, it’s simply not appealing to use. Today, customers are used to seeing data presented in ways that are visually pleasing, scatterplots that are so attractive you could print them on canvas and hang them in the office; even scientists turn their bacteria slides into art. If you want them to engage with your data, you’ll have to make it look good. In the realm of data visualization, design industry professionals craft interactive data visualizations, such as census charts that allow you to dig deeper by clicking on a section or financial data line graphs that help users more closely examine market trends. Interactive data visualizations reduce the amount of clutter on a given chart, making it easier to read, while also enhancing the level of user engagement and overall content by embedding information subsets throughout. Ultimately, in order to push your business forward, you need to tell a compelling story, point out a vital problem, and otherwise encourage collaboration and concern between groups – and visualization fosters this process. It reveals, using data, what concerned parties can’t otherwise see or understand. Consider, for example, a regional plumbing system. If the pipes are split between city-owned and privately owned, they’re liable to have weaknesses that no single organization can see, creating potential problems in the event of system contamination or breakdown. By feeding data from both systems in to create a system visual, however, the problems become evident to all parties. With innovations like infrastructure visualizations and interactive graphs and charts layered with clearly presented statistics, data visualization has entered a new era. Sure, it’s not analysis on a pure level, but visualizations are what make a data analysis accessible to an audience beyond your back-end numbers people. Your data analytics team is not made up of the same people as marketing or customer service and your clients aren’t data analysts. Therefore, this is where you bridge the gap.